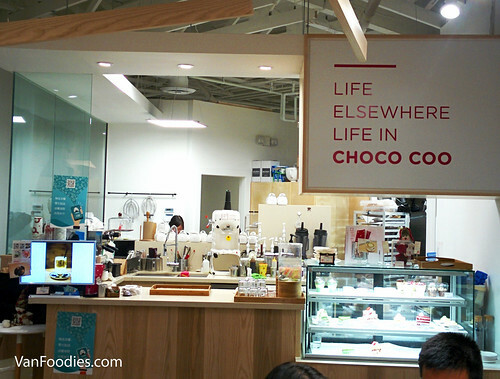 I was quite excited when Choco Coo Cafe opened in Coquitlam earlier this year. There are not many dessert/cafe options in the area, so it’s always nice to see another addition, especially seeing all the beautiful photos on Instagram. I was intrigued. So one weekend evening after dinner with a bunch of friends, we all went to Choco Coo for desserts. It wasn’t a super hot day, so I ordered a hot Green Tea Latte. 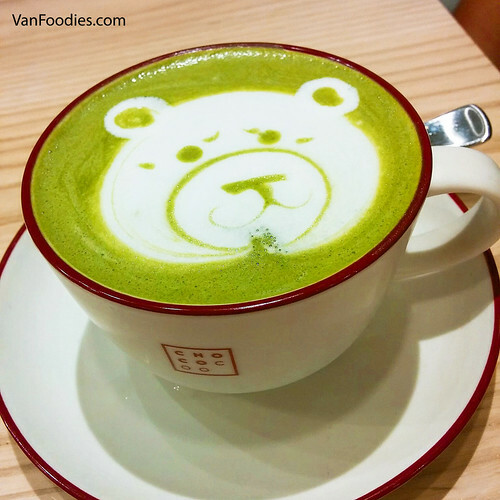 Check out the cute bear latte art! haha it looked a bit sad/grumpy/mischief depending on how you look at it, and it took me awhile before I finally decided to stir it in! The latte was light and frothy, yet rich and creamy, with a right amount of matcha flavour. I tend to like my drink hot, so I found this to be just on the luke warm side. In case you haven’t heard, and I would seriously question where you’ve been in the last two months, there is a cat cafe in Vancouver! Catfe is located at the International Village/Tinseltown on the edge of Chinatown. Last year during our trip out east, we visited Cafe Chat L’Heureux, one of the cat cafes in Montreal. 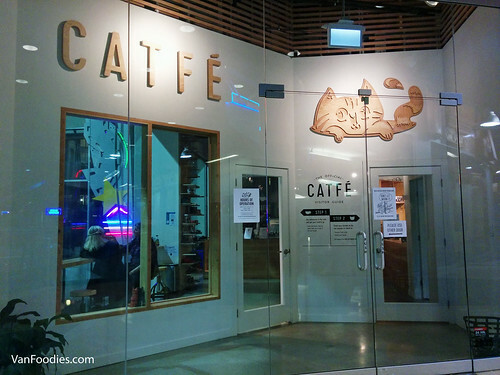 So when there was an invitation through the YVR Bloggers group to visit Catfe, I jumped onto the opportunity. I was curious to see how they compare. 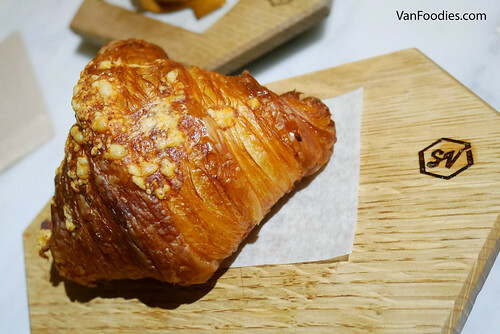 Catfe isn’t the same as Cafe Chat L’Heureux, as it’s not a sit-down restaurant. In fact, Catfe has two components, a cafe where you can make your food & beverage purchase or even to sit down to enjoy your drink, and the cat lounge, where you can hang out with the cats. 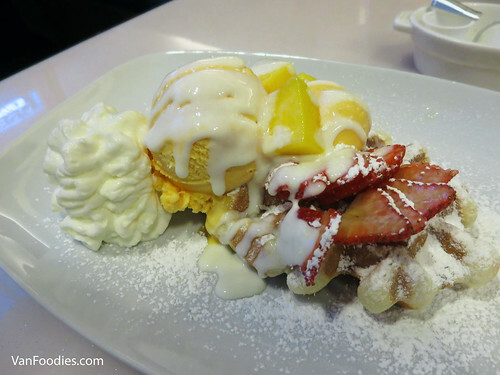 My friend CC told me about this waffle place near Coquitlam Centre — Miracle Belgian Waffle. Having moved to Richmond, I’m not in Coquitlam as often anymore; so when CC wanted to meet up in Coquitlam, I took the opportunity to check it out. There are close to a couple dozens of waffle items to choose from, mostly sweet but with a few savoury options. You also get to choose between Brussels (crispy) and Liege (soft) waffles. It reminds me of Nero in downtown. As a huge fan of mango, without hesitation I ordered the Mango Paradise on a Liege Waffle. On top of the waffle were fresh mango and strawberries, mango ice cream and a yogurt sauce. The waffle had a nice texture, denser than Brussels waffles, soft yet chewy. While the waffle could be a shade darker in colour (especially around the edges), you could see speckles of sugar still glittering on the surface. The sweetness and tartness were balanced quite well between the sweet waffle, mango chunks, strawberry slices, ice cream and yogurt sauce. The plate looked very inviting and overall it’s a very satisfying plate for a mango fan. Could’ve used a few more pieces of mango or a bit more mango ice cream but I just really like mango!